A fun blog about U.S. Coins. If you’re a beginning coin collector looking for a little advice on managing your coin collection, then you’ve come to the right place! This site is packed with helpful info if you’re just getting started coin collecting and have questions about the coins in your collection. Our coin experts have provided a wealth of info here that will help point you in the right direction before you start buying & selling coins, attending coin shows and auctions, and interacting with coin dealers. If you’re not a collector, but rather someone who found a few interesting coins in your own pocket change (or maybe you inherited a hand-me-down coin collection), then we’ll help you answer some basic questions — including how to determine the grade and value of your coins. At The Fun Times Guide to Coins, you’ll find information about all types of coins — from rare U.S. coins to the coins you see every day in your pocket change. 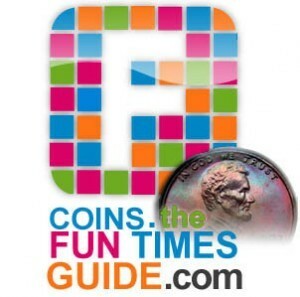 Check back often for all the latest news & updates about U.S. coins!